The first time I ever saw beets was when I was a kid living in Georgia. They were these perfectly round red discs at the salad bar. I remember a sweet old lady filling her plate with the ruby-red slices. When I asked my mother what they where she told me beets and that I probably wouldn’t like them. Years and years went by before I tried a beet for the first time. A friend practically had to dare me to eat one. Finally when I did all I could taste was dirt, I was not pleased. I couldn’t understand what the appeal was. Why had I seen people loading their plates at the salad bar with these things? Fast forward a few years to culinary school. Ok more than a few years, but we won’t talk about that. During our introductory cooking class we had to cook beets. I had post traumatic flashbacks to that dare when I was a kid. Needless to say I had no desire to eat beets again. Like a good student I roasted the beets like I was told and made the assigned salad. Our instructor insisted that we try everything we made, regardless if we thought we would like it or not. The only way I was going to get away from eating this salad was to be allergic to something. Fortunately for me I am allergic to nothing. With my fork in hand I took a deep breath and braced myself for what was to come. To my surprise the beets were sweet and tender. 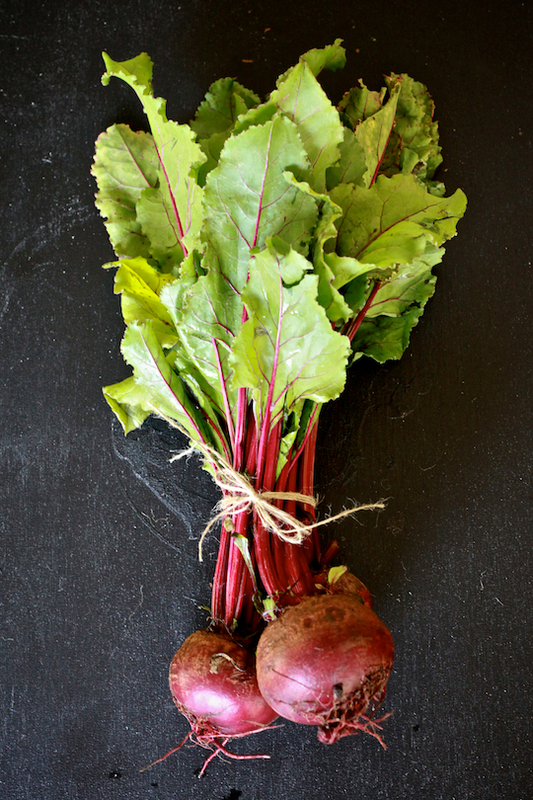 They still had an earthy undertone, but it wasn’t like the first time I ate beets. The first time it tasted like I had put a clot of dirt straight into my mouth. Could it be true, did I like beets? I took another bite and it was just as delicious as the first, if not more. I don’t know what changed, maybe I ate a bad beet all those years ago, maybe it wasn’t properly cooked or maybe my palette hadn’t developed enough. Who knows? Point is I liked them now. The 4th of July is just around the corner. In less than a week grills will be fired up and people with gather to celebrate the day our country declared its independence. In magazines, blogs and social media there are red, white and blue 4th of July themed dishes and desserts. 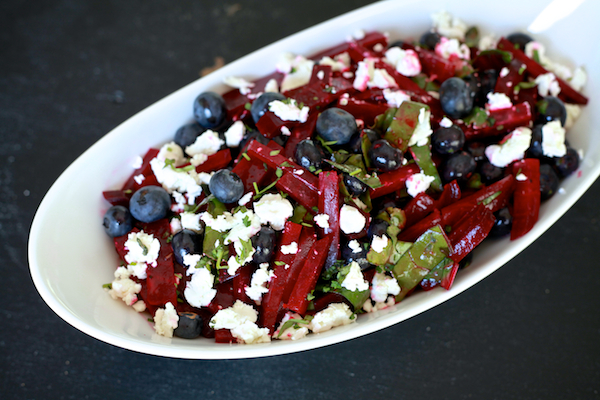 I though beet, blueberry and goat cheese salad would be a perfect red, white and blue salad for up coming barbecues. I know it’s not a traditional salad to bring to a barbecue, but it’s fun to do something different. Not to mention it’s delicious! 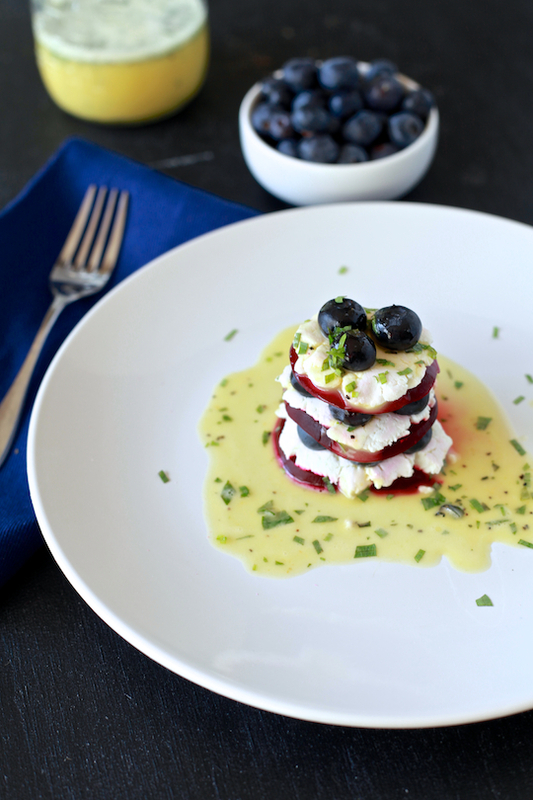 The earthy beets, ripe blueberries and tangy goat cheese all work together harmoniously. Toss it with a honey tarragon vinaigrette and some beet greens and you have a party in a bowl. If your 4th of July shin-dig is a little more fancy take these same ingredients and make stacks. If it wasn’t for the dressing you almost can’t tell if these stacks are savory or a sweet dessert. How cute would a little army of these stacks look on the table? What plans do you have this 4th of July? Are you visiting family, just chillin’ and grillin’ in your back yard or headed to the beach or lake? 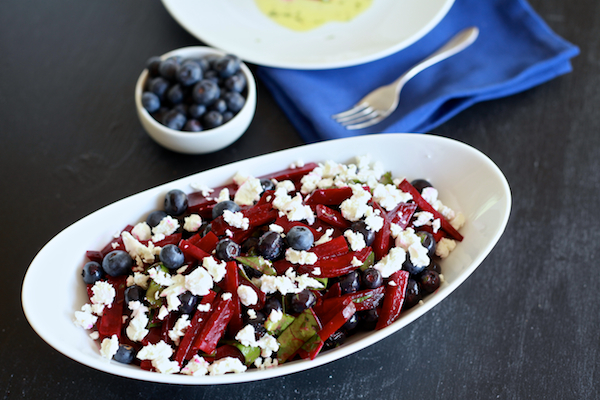 Regardless of what you are up to this 4th of July I suggest you bring a big bowl of Red, White & Blue salad. Cut the stalks off the beets, reserving the leaves for later. Place the beets cut side down on a rimmed sheet pan. Fill the pan with water, just barely covering the cut ends of the beets. Cover the pan with aluminum foil. Roast in the oven for 1 hour. While the beets are roasting, combine all the dressing ingredients together in a small resealable container. Shake until well combined and emulsified. Refrigerate to let the flavors develop. Place the beets on a plate to cool. Using paper towels in both hands rub the skin off of the beets. Slice the beets into matchsticks. Roughly chop 3-4 beet leaves. In a bowl combine beets, chopped leaves & blueberries. Toss with dressing. Sprinkle goat cheese over salad and serve. 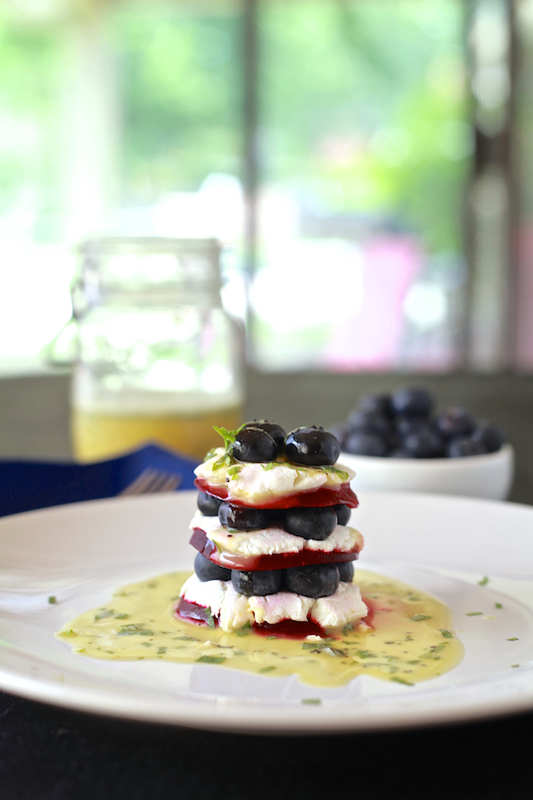 Using the same ingredients you can also make small stacks, by stacking 3 layers of sliced beets, followed by goat cheese and blueberries. Drizzle with dressing. Hi! 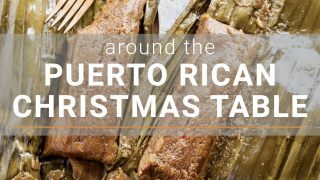 I’m interning with Crescent City Farmer’s Market in New Orleans and we were wondering if we could include your recipes in our recipe database for our customers to use. Do you have the nugitional analysis on this? Made it, yum yum! I love goat cheese and beet salad. the blueberries are a nice addition! I don’t care for beets (tried them again last year) but I think this post rocks and I would try that salad. The stacking of the second one was inspired work!